The next time you see J.P. Arencibia attempt to throw a runner out from the squat position, think of early 20th century Canadian Jimmy Archer. The five-foot-10, 168-pound catcher was reportedly the first to throw a runner out from the squat position. Al Bridwell, a star shortstop with the Giants from 1908 to 1911, who played with Archer on the 1913 Cubs, expressed similar sentiments. Prior to becoming a legendary manager with the New York Yankees, Casey Stengel was a speedy outfielder with the Brooklyn Dodgers, who often competed against Archer during the catcher’s nine seasons with the Chicago Cubs. In Robert W. Creamer’s excellent Stengel biography, he writes of Stengel, who had registered four hits in his major league debut, walking to the plate in his second contest against the Chicago Cubs in September 1912. “Jimmy Archer, the Cubs’ marvelous fielding catcher, cocked a look at Stengel the first time the rookie came to bat,” writes Creamer. “Archer was famous for his arm, and he took delight in throwing out overambitious runners who tried to steal on him. “So you’re Stengel, hey?” said Archer. “Yeah, I’m Stengel,” the rookie answered. Even Stengel, who was by most accounts a bold and brash rookie, feared Archer’s arm. For the record, Archer was born in Dublin, Ireland, but he moved with his family to Montreal as a baby and relocated to Toronto when he was three. According to an excellent biography written for the SABR website by Bill Bishop, Archer honed his baseball skills at St. Michael’s College and in the Toronto City League. When he was 20, Archer made his professional baseball debut in Fargo, N.D. The following year, despite, as Bishop writes, Archer’s season being interrupted by a broken collarbone, he hit .299 for a Class-D club in Boone, Iowa. It was enough to convince the Pittsburgh Pirates to purchase his contract and insert him in their lineup that September. After his brief stint with the Pirates, he suited up for two seasons with Atlanta of the Class-A Southern Association, before landing his next big league assignment with the Detroit Tigers in 1907. After participating in just 18 games in the regular season, the rifle-armed Canadian was summoned to thwart the Cubs’ running attack in Game 5 of the World Series. Archer did throw out speedy Cubs outfielder Jimmy Slagle, but the Cubs still won the game and later the series. Impressed by Archer, the Cubs’ brass offered him a contract prior to the 1909 campaign. Archer accepted the deal and served as a catcher with the club for parts of nine seasons. His best offensive season was in 1912, when he hit .283 with 58 RBIs. But it was largely his arm and defensive prowess that earned him a spot on Baseball Magazine’s “All-America Team” for three consecutive years from 1912 to 1914. After brief big league stints with Pittsburgh, Brooklyn and Cincinnati in 1918, Archer retired and returned to Chicago, where, according to Bishop, he worked for Armour and Company. Archer also served as the promotional director for the Congress of Professional Bowling Alleys and was the commissioner of a softball league. According to Bishop, Archer died from a coronary occlusion on March 29, 1958, in Milwaukee. He’s buried in Boone, Iowa (his wife’s hometown). Thanks in large part to his throwing heroics, he was inducted into the Canadian Baseball Hall of Fame posthumously in 1990. Wow Kevin. Fantastic article. Keep writing these great articles. Everybody should be reading these. 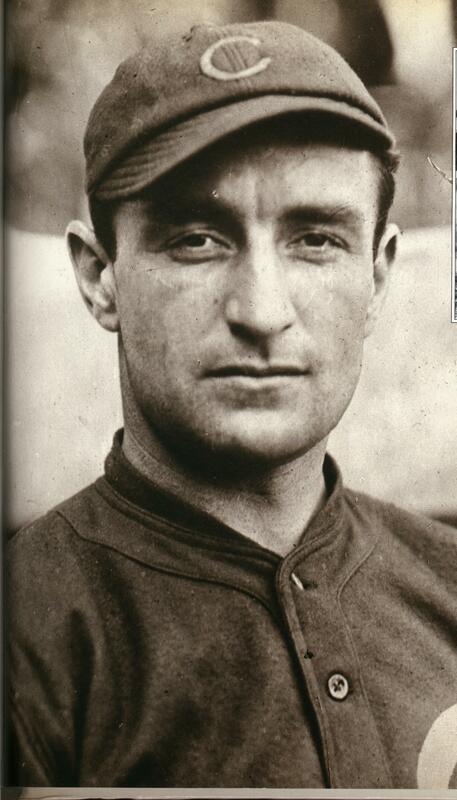 I just met through email the great-grandson of Canuck MLB’er John McLean. He will have tons of stories. Thanks for the kind words and for the great photo, Scott. To be honest, until I read the Stengel biography, I had no idea how good Archer’s arm was. I will touching base with you about McLean soon.